Richard the Lionheart was part warrior, part lover, part scoundrel and part legend. Amazing legacy for a king who spent less than six months of his reign actually in his kingdom. 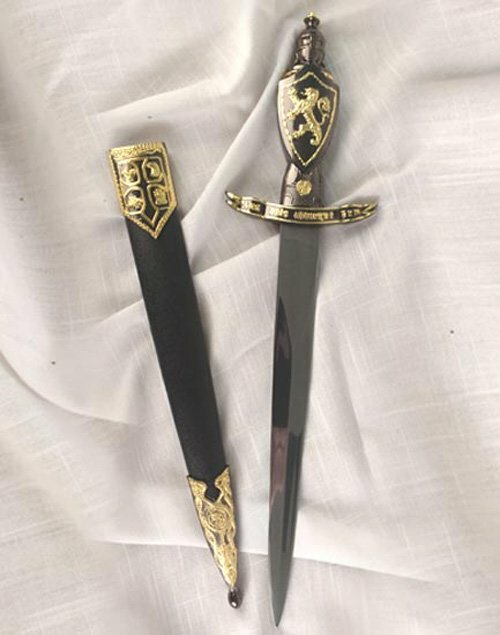 This stunning dagger bears a crusader helm pommel above a rampant lion grip. 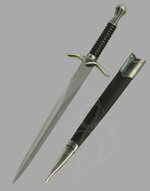 The overall length is 14.5 inches with a 9-inch, unsharpened stainless blade. 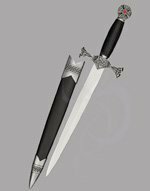 The sheath is beautifully sculpted and emblazoned with kingly sigils. These are extremely popular groomsmen's gifts and wedding gifts. Start your legend today! 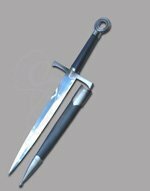 Buy this handsome Richard the Lionheart dagger.